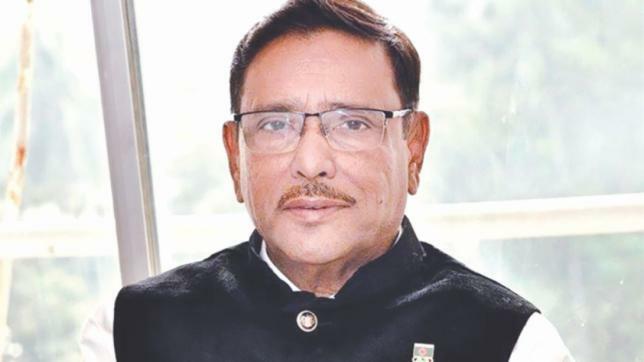 Awami League General Secretary and Road, Transport and Bridges Minister Obaidul Quader, now undergoing treatment at Mount Elizabeth Hospital in Singapore, will be transferred to a cabin from Intensive Care Unit (ICU) of the hospital by the next week. “His health condition is improving after completion of a successful bypass surgery there. If it is continued, he (Quader) would be shifted to a cabin by the next week,” said a press note issued by the Road Transport and Bridges Ministry on Thursday. The bypass surgery of Obaidul Quader was performed on Wednesday. Earlier on March 3, the AL general secretary was admitted to BSMMU following breathing complications, but tests revealed three blockages in his coronary artery. Later, he was taken to the Mount Elizabeth Hospital in Singapore for better treatment.